Warm fluffy blanket – an indispensable attribute and the embodiment of comfort. 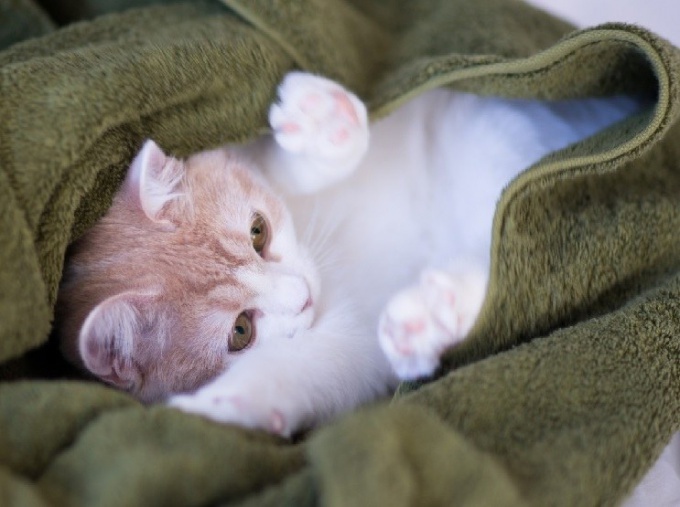 It can be used as a blanket, but even better is to wrap myself in it when it is cold outside. But the blanket is not a blanket, it does not wear the duvet, therefore, if you use them, sooner or later the question arises how to clean or wash. The degree of fluffiness of the blanket, of course, depends on what material it is made. Acrylic blankets, even though they are fully synthetic, not just fluffy – they are soft, light, warm and very practical, durable and not afraid to ask, do not fade and long retain their original appearance. They are good for children's rooms, because it does not attract dust and does not cause allergies, in addition, they are easy to wash and dry. Fluffy blankets made of pure wool, they are not only beautiful, but also can help you recover from a cold, because this natural material is able to accelerate blood circulation, relieve back pain and joints. The most "useful" for health - plaids of raw dyes and chemicals wool. Fluffy yarns, which are woven blankets, made from the wool of a camel, sheep or llamas. From the softest natural cashmere blankets, they do not cause allergies, but their price is quite high. You can buy a more cheap and practical fluffy blankets made of cashmere with synthetic fibers, by type and quality not inferior to natural. Rules care plaid you can see on its label. The easiest to care for acrylic blankets – they recommended gentle machine wash in warm water. Better when washing use a leave-in conditioner, then fluff after wash not to stick and plaid will remain the same fluffy. If the blanket does not fit in the washing machine, soak it directly in the bath by adding cold water shampoo and vinegar. Dear cashmere blankets and those made of natural wool, it is better not to wash, and dry-cleaned. You can clean a rug at home. To do this, first shake it to remove dust and hair, if this rug along with you have chosen and a cat. Pour 2 teaspoons of shampoo and 1 teaspoon of vinegar in 100 grams of warm water and beat well the mixture until a thick foam. Then evenly distribute it over the surface of the blanket with a soft clothes brush. After the foam is dry, vacuum the rug, using a special nozzle. Soak in water with vinegar soft clean cloth and wipe the surface of the rug, then brush it with a soft brush and repeat all manipulations, turning the blanket on the other side. Dry the blanket, spread on a horizontal surface. Blankets from the camel wool, do not dry in direct sunlight, only in the shadows. If you want to wash a wool blanket, this should be done in cold water with special detergent designed for washing wool products. Pressing the blanket after washing it is impossible, place it on the edge of the tub so that the water glass, and then spread out to dry on a horizontal surface.